Let’s get one thing straight: You do not lack motivation. Actually, nobody does. Why am I so confident about this? Well, let’s think about what motivation actually is. Simply defined, it is the desire to do something or act in a certain way. That’s it. It follows then, that you are always motivated to act in certain ways because you are always doing something. Even if that “something” is binge watching Game of Thrones for three days straight while eating ice cream, there are still motivating factors behind that action (or inaction, as it were). In this case, the motivating factors would likely be the pleasurable experience gained by the enthralling story and incredible visuals, as well as the sugary ice cream (aka massive dopamine rush). Of course, this is not what most of us have in mind when we talk about motivation. When we say we lack motivation, what we really mean is that we lack the motivation to do the things we should be doing. 1. The responsibilities we have to others (like picking your kids up from school or paying your bills). 2. The responsibilities we have to ourselves (like what career you should pursue or whether or not to exercise). Humans are generally motivated by two things: The desire to gain pleasure or the need to avoid pain. Of the two, the need to avoid pain is the often more powerful. For example, most of us don’t have a huge problem finding the motivation to uphold our responsibilities to others. We pick up our kids from school because we know that if we don’t, they will be stranded and scared. As a parent, this would be psychologically painful, so we take action in order to avoid that pain. Or, we pay our utility bills to avoid the uncomfortable scenario where we are left without luxuries like electricity and running water. These two examples have an important commonality: the consequences of NOT acting are immediate and clear. Therefore, we act without even trying. This is motivation in its purest form. Take a moment to think of examples like this from your own life and you’ll realize that you already know exactly what it feels like to be motivated. Sit with that feeling for a few moments. So then, why is it so hard to find the motivation to uphold the responsibilities we have to ourselves? Why is it often so much more challenging to pursue a career we love or start a new workout regimen than it is to pay our bills on time? A big reason we don’t do the things we say we want to do is because we haven’t thought about the consequences of our inaction. This is why some people stay stuck in unrewarding jobs rather than pursue their dreams, or why they are okay feeling like crap every day rather than sticking to a sensible exercise and eating program. Many people fail to take into account the pain caused by their inaction. They don’t notice it because this kind of pain is slow-burning and its consequences are not immediate. Rather, the negative effects are usually only apparent years down the road. For example, not paying your electricity bill results in an inconveniently dark house within a few short weeks, whereas the cumulative consequences of not exercising regularly might manifest over the course of several years as extra weight, lethargy, or in some cases, even a heart attack. In short, the reason for lack of motivation is that we don’t link enough pain to our inaction. The way to fix a lack of motivation in a particular area of your life is to force yourself to see the consequences of your inaction. When you take time to deliberately contemplate the negative effects of not doing what you need/want to do, you link pain to your inaction. Once you link enough pain to inaction, you then become motivated to act. Think of it like this: You don’t need any motivation to remove your hand from a hot stove. The physical pain is so great that removing your hand is your natural reaction to the situation. When it comes to motivating yourself, the idea is to increase the psychological or emotional pain associated with inaction to the point where taking positive action toward your goals is your natural reaction. My full-time job is running Think. Grow. Prosper. with my wife, Vanessa. In every respect, it is my dream job. Even so, I sometimes forget why I’m doing what I’m doing -- whether it’s writing a blog post, making Instagram content, or studying different topics. I “lose” motivation. When this happens, Vanessa and I have what we like to call a “State of the Union” for our business. During this meeting, we clarify our collective and individual goals and desires. But more importantly for me, we think about what will happen if we don’t follow through on doing what we need/want to do. In other words, we contemplate the negative effects of our inaction. This exercise almost always gives me the clarity and motivation I need to move forward with enthusiasm and do what I know I need to do. 1. Pick a specific action that you need/want to take but have been putting off due to a lack of motivation. Examples include things like career moves, lifestyle changes, uncomfortable but necessary conversations, etc. 3. How does not taking action negatively affect those you care about? It’s a mistake to think that the choices you make only affect you. They don’t. They also affect the people close to you. Write down what your lack of action is costing those you love. What are they losing out on because of it? Here’s an example I made up to give you an idea of how to approach this exercise. You can use the prompts (in bold) when you do the exercise for yourself. What has not doing this cost me in the past? What have I lost because of it? I haven’t felt energetic for a long time. I gained weight and also developed back problems. What is my lack of action costing me in the present? What am I losing because of it? I don’t feel good on a day to day basis. The doctor says I am at risk of a heart attack if I don’t exercise. I’m not comfortable in my own skin and I don’t like the way I look in most clothes. I can’t even play with my kids as much as I want to because I’m so out of shape. What will this lack of action cost me 1, 3, 5 or 10 years from now? What will I lose because of it? I might have a heart attack. I would probably continue to gain weight and feel like crap all the time. I might also develop other health issues. How does this belief negatively affect those I care about in the past, present and future? Now it’s your turn. Pick an action you need to take but haven’t and use the above prompts to crystallize the negative effects your inaction is having on your life. Hopefully this article gives you a better understanding of how motivation works. 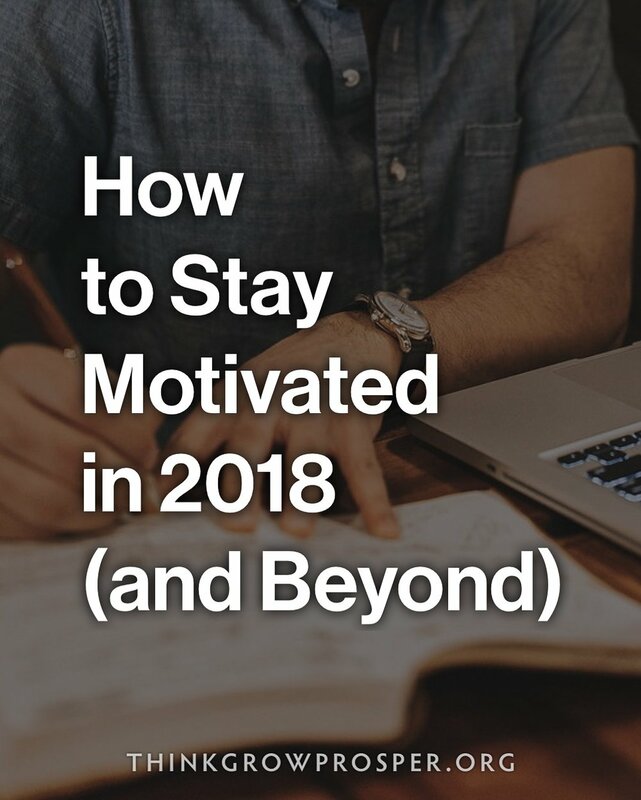 There are other important aspects to motivation and I will be writing about them in the future on this blog. Ruben Chavez is a lifestyle philosopher, influencer, writer and personal development educator. His passion for personal development inspired him to create the Instagram account, ThinkGrowProsper, which has amassed over 3 million followers. Along with his blog, these platforms are his way of inspiring and connecting with thoughtful, creative, and ambitious people just like you.